After my last post regarding the Cosmicar 8mm f/1.4 CCTV C-mount lens I have purchased a revers mounting ring for micro four thirds. It’s a 55mm to M4/3 mount mounting ring, which is too large for the Cosmicar. I have therefore attached the lens to two step-up rings – a 40.5mm to 52mm and a 52mm to 55mm. It’s not an ideal solution, but I wasn’t able to find a reverse mounting ring with a smaller filter thread. Anyway it works and surprisingly well at that. I haven’t calculated the maximum magnification ratio, but it puts all my other macro setups to shame. 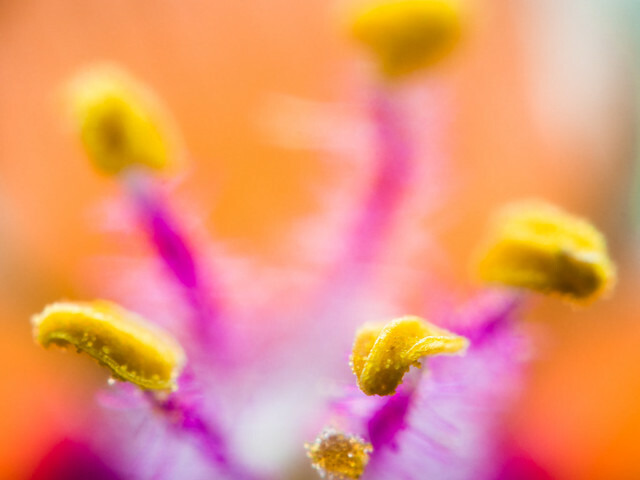 See the anthers in the following photo which was shot with the reverse mounted Cosmicar 8mm f/1.4 on my Olympus OM-D E-M10? 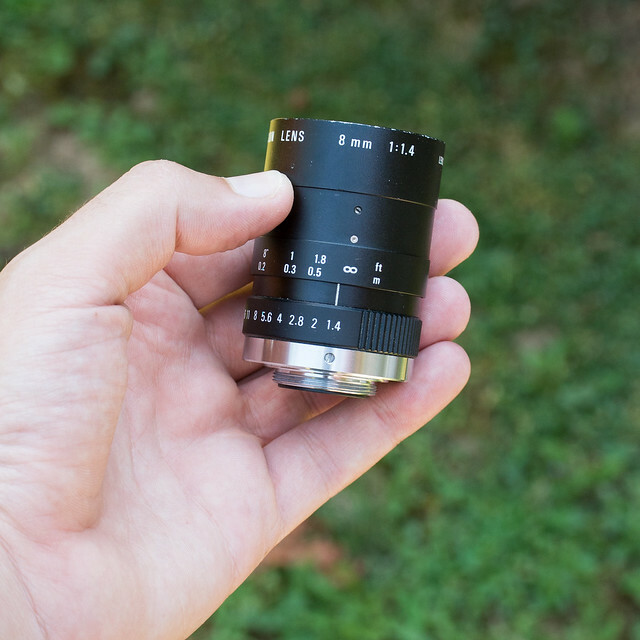 Cosmicar 8mm f/1.4 on M4/3 and Nikon 1 – A total bust? A couple of days ago I bought a Cosmicar 8mm f/1.4 CCTV C-mount lens. Since there are no ultra-fast ultra-wide angle lenses for either Micro Four Thirds or Nikon 1, I wanted to try it out and see if it would work. What I wanted to use it for were nighttime landscapes with an emphasis on the sky. I always wanted to try out photographing the stars, Milky Way, etc. Of course, as is often the case with C-mount lenses, there was a chance that it wouldn’t work at all. There is no mention of the Cosmicar 8mmm f/1.4 CCTV C-mount lens on either ebay US or ebay Germany – not even under completed listings. There is also very little info regarding the lens on the web. I found a thread on mu-43.com eventually, but this was after I bought the lens. There is a lot more info about Cosmicar 8mm f/1.5 and 8.5mm f/1.5 lenses, though, neither of which are able to illuminate the entire 4/3 sensor. Since there seem to be a lot of similar lenses – at least with similar specs – I’ve included several images of my Cosmicar 8mm f/1.4 down below. Read the postCosmicar 8mm f/1.4 on M4/3 and Nikon 1 – A total bust?